Stimulating and brilliantly read by the author! 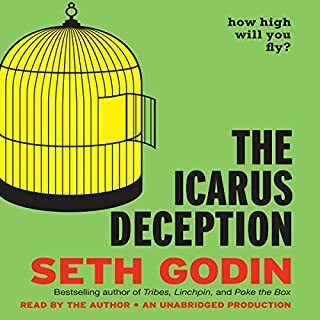 I love it when the author narrates his own book, bonus Seth! Good listen, especially when driven but felt it could be condensed. I got the point quickly! Good point, well made, just a bit repetitive towards the end. In this book the author makes a compelling case for being outstanding or exceptional. While this might seem obvious he does put a different spin on it and he links it to how it will help you market your business. I enjoyed the book and it made me think. The title initially made me dubious but I was sold by what the book was offering. This book is a MUST HAVE for every small business and larger businesses could also learn from this. The best read I have had in years and every sentence has had me thinking, reviewing and processing my own business. I wish I had found this book a few years back. 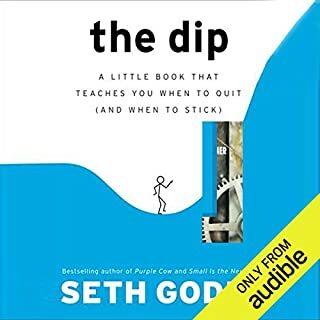 Hoping Seth has more for us to learn from. Thank you. This is the book that clearly preceded anything written by Gary Vee! That fact makes the book a little outdated - but this takes nothing away from what is a great, simple read! Also, there are still some golden nuggets to be had from Godin’s insights! This is a good and concise read. People who know little about marketing or still do things the old school way. 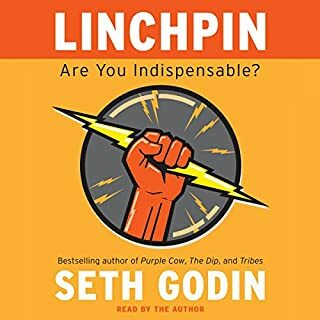 What could Seth Godin have done to make this a more enjoyable book for you? I saw this book listed in a top must read business books. I was very disappointed. Correct me if I am missing something but all this book does is to suggest to do something different than other companies to get your self noticed. Great. Its really just a list of examples of companies that are doing something different and achieving success. Very little in practical examples to apply this to what you may already be doing. Any book by Daniel Priestly will offer this in much more depth. This audio book shows you how to be extraordinary and stand out from the crowd. I would definitely recommend this book. I listened to the entirety of purple cow in one sitting while at a cafe near my home, that happened to be a few doors away from a (very) popular restaurant chain. I watched people with wonder scurry in and out like ants in an ant hive, and silently asked myself why it was so popular. Little did I know that Godin was quickly changing my perception of what an incredible business was while I watched. I had finished listening to the book by noon, and had so far counted on average about 10 people per minute (!) entering the restaurant, either entering by car or on foot. What better way is there to experience the power of a remarkable business than to observe the attraction of the successful restaurant chain such as this one, that demonstrated the power of branding? Once I had finished Purple Cow I walked the short distance home, and to my surprise I found myself observing every single shopfront with curiosity, asking myself how that business, that machine, behind the shopfront could be different, how it could challenge the norm, and how it too could be remarkable. What this book does is distinguish very clearly for you what is and what is not a remarkable business, and what you can do to create one in today's environment. 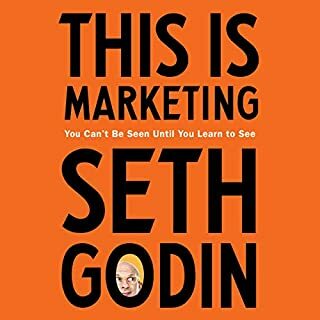 Seth Godin covers topics ranging from the history of the televisual industrial movement, that saw advertisers competing for sales through mainstream television or radio commercial advertisements, to a newer method of targeting and attracting customers by catering to percieved wants that have been expressed by the consumers themselves. In Godin's world, every item that a person perceives as being needed to be bought has already been created. It is now up to the entrepreneurs of the present and future to create items that fulfill a percieved want in a select group of people who lead others to purchase the product or service. the concept was interesting but didn't feel it really offered much to those who are involved in businesses beyond venture capitalism. Really did I just pay for this? Truly unremarkable where is the value here? Nothing new and very short. It should be discounted or free. It is just someone's ranting on what they think without structure or evidence of anything. Why do people rate this so highly? Exceptional book, easy to listen too. it's a great book for those looking to inspire, invent, achieve and be different. An excellent book for improving product design and selling on Amazon FBA. Really enjoyed this, but somewhat short. This is a great book which makes marketing and product development so simple. It’s a must read for any self employed or business person. Being remarkable works for the one man operation or the medium and large corporation. 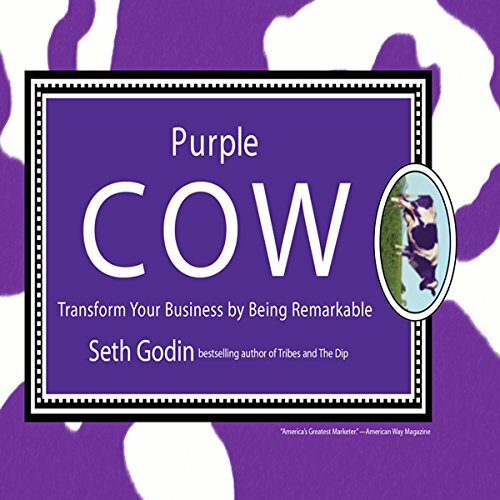 No matter who you are in business, implement the Purple Cow strategies and success will find its way to you. 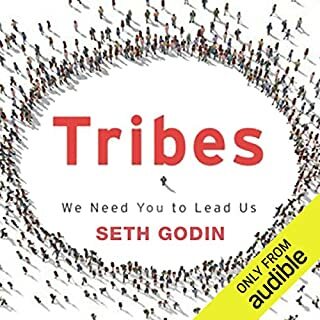 I like Seth's ideas in general as a whole however I was slightly underwhelmed by this book - very relevant back in 2004 but old in 2018 when I got around to reading it. 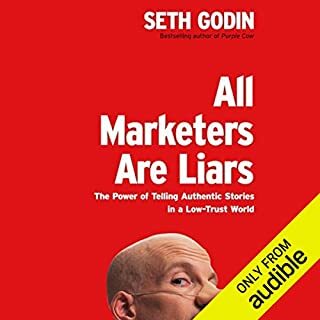 If you are completely new to the concept of marketing there are some solid points in here however if you know anything about Martech then most of this content is old hat. Was told to read this a few years ago. Still relevant today in many ways. how do i return this book? very ho hum. some old american crap laden with anecdotal stories of old companies and no real new message.